After I had decided on doing embroidery floss projects while I’m traveling, I checked out Pinterest for interesting patterns, but sadly didn’t find many. 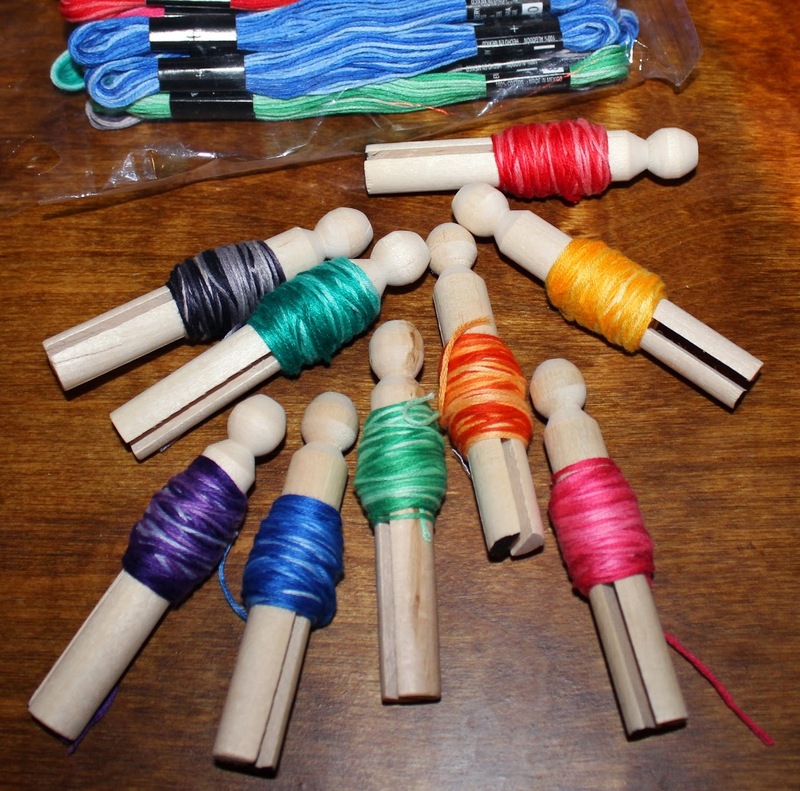 What I did find was a cool idea for organizing embroidery floss that didn’t use the typical tiny cardboard cards, but instead uses clothes pins. I definitely love the look, and the pins could probably fit two skeins on each. 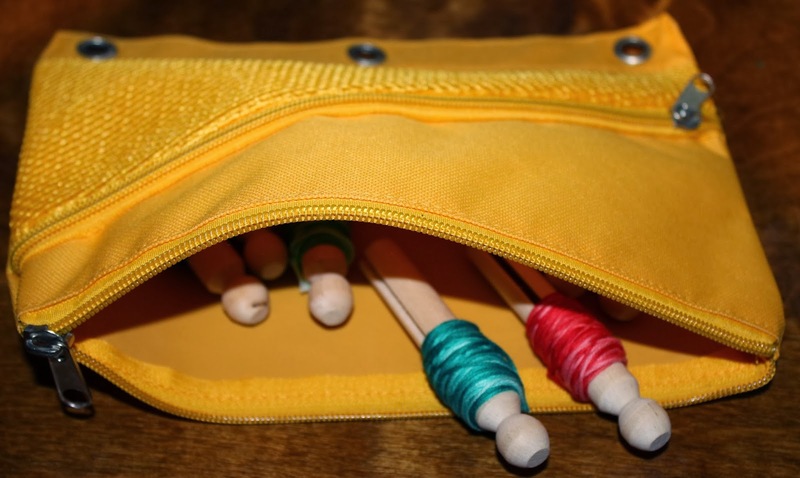 I had an extra pencil case in the house, so I’m going to travel with them in there. 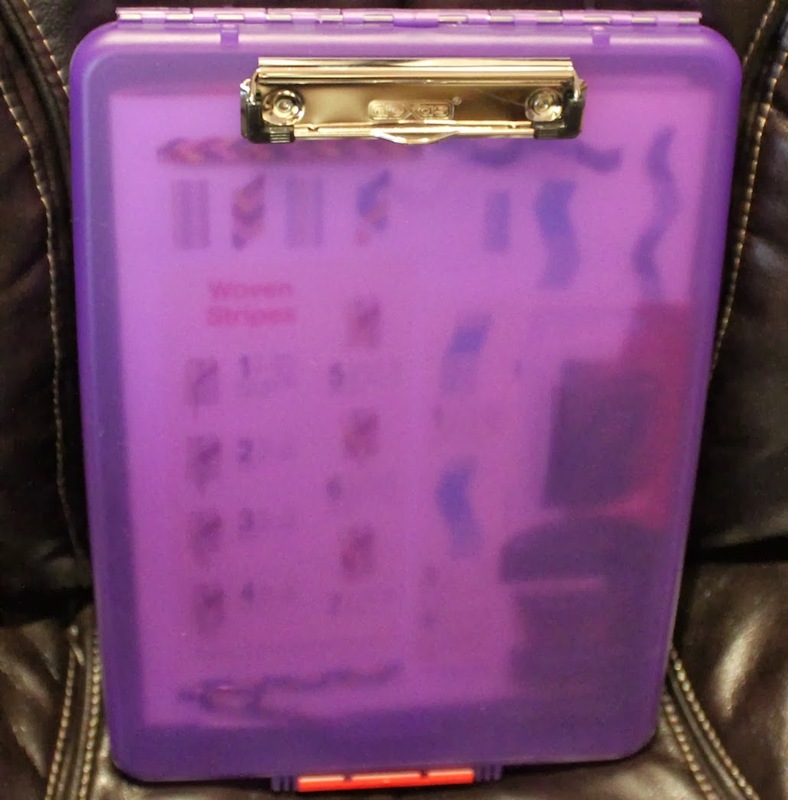 Another thing I picked up was a slim storage clipboard. I had hoped to put the wrapped floss in there but it’s a bit too bulky to close the storage area. 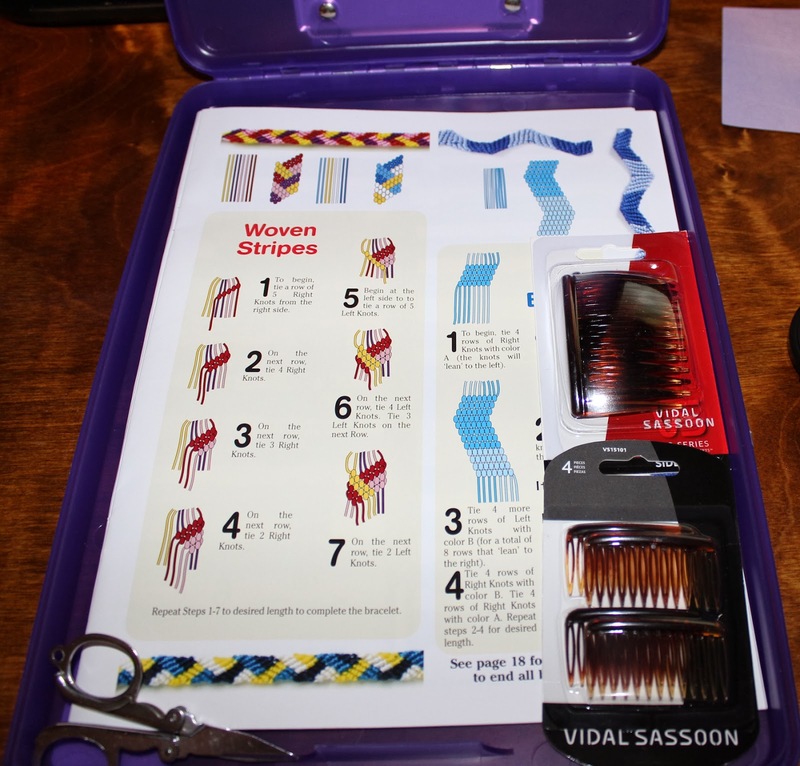 However, it’s great for holding onto my patterns, folding scissors, and other supplies for my travel projects, and I’ll be able to use the clipboard part to hold the floss as I work on it. Now that I’m done distracting myself with organization, it’s time to go work on today’s crafting project!